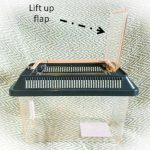 Starter Kits including; mini faunariums (with, or without decor), beginner starter kits. All of which are perfect for small/medium-sized insects (mantids, stick insects etc…). Also suitable for a wide variety of arachnids, such as spiders and scorpions. 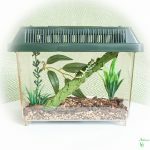 Select the desired vivarium thumbnail below, each product has a gallery of images showing you exactly what you will get with each product.